A new year...THE YEAR THE PINBOTS ATTACK!?! As we close the book on 2012 (thank you for not enveloping us in an apocalytic fireball, btw! ), we need to look forward to our future. The future might seem like a very benign, distant twinkle in the eye of old man time, but what if THIS is the year!? Not the year of the apocalypse, but the PINBOTCALYPSE!! The year is 2099! A vicious chain of political- and revenge-fueled attacks have left the world a ravaged shell of what it used to be. The main strategy of each side comprised of pin-pointed surgical strikes against the opponent's fossil fuel reserves. In the midnight of bloody war, Dr. Jujoji devises a long-range form of maser wave that not only rendered fossil-fuel driven devices useless, but also triggered a molecular chain reaction that ignited all sources of fossil fuel. Behold! The rise of the Pindroids and their mutated masters! 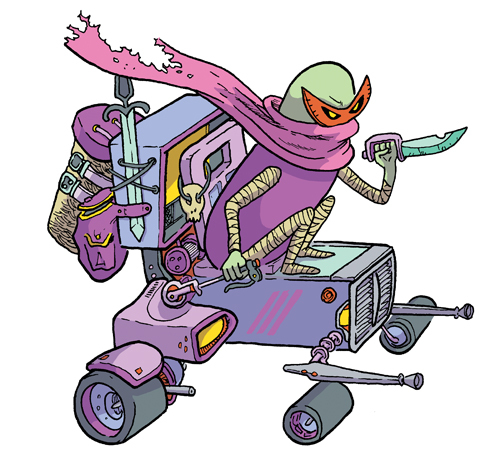 Wretched slave drivers that FLIP the twisted robots into battle! Earth barely survived the war! 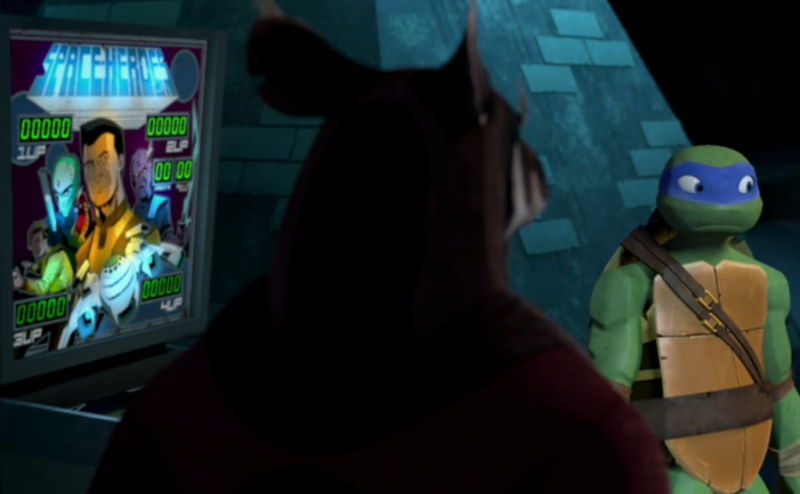 Can she survive the terrible TILT of the Pindroids!? When the smoke clears will humanity have any chance at a REPLAY?! Or have we exhausted our last CREDIT?! All the pinball components snuggled in their new home. THAT'S ALL I GOT! I don't have the Oom pah pah to make a whole rhyme about me going to Stern. Was it magical? Of coarse! But obviously not magical enough to imbue me with the power of rhyme! This is short post today! The pinball machines make their way down the assembly line and getting their components. Next time I wrap up the Stern photo tour! I'm getting misty-eyed just thinking about it! Enjoy your holiday week! Everybody go play some PINBALL! Pinball was such a huge part of the 60's and 70's that it's no surprise that it keeps on popping up in art forms from that era. There are many instances that I've seen Pinball imagery in rock posters. If you even look at the back glasses and cabinets of older pinball machines, you can DEFINITELY see that there is some sort of cross-pollination happening between pinball and rock. Circle wipe to 2011. The rock band Wilco has curated an arts festival in Massachusetts. The theme for their poster, PINBALL!! The tradition lives on! 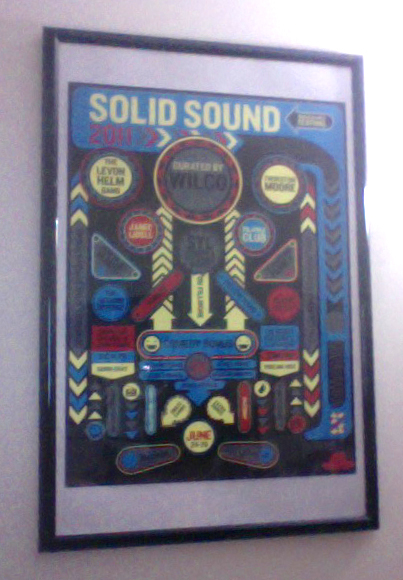 Let's get honest here; am I a Wilco fan? No. But I am a pinball fan, a screen-printing fan, and a fan of great graphic design! Welcome to the intersection of my interested in the Venn Diagram! Remember the LAST TIME this happened?! You can pick up a copy of the poster HERE! Just do it! Sorry, dear readers, this post is not going to turn out like you'd hope. Unfortunately I don't have a DTZ exclusive glamour shot of Indiana Jones. 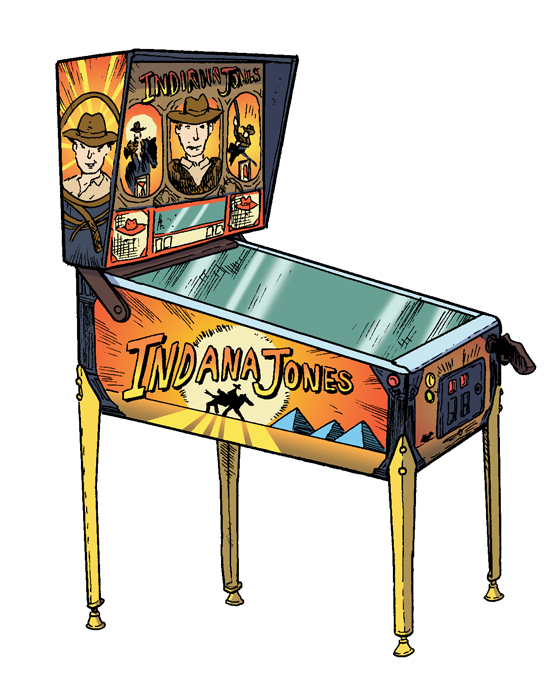 Instead, I have a sketch of the Williams Indiana Jones pinball machine that Alec and I LOOOOOOOVE, that I colored. Unfortunately, the closest copy of IJ that I have access to is down in Pelham, NH. Just ANOTHER reason why pinball wizard is the best! 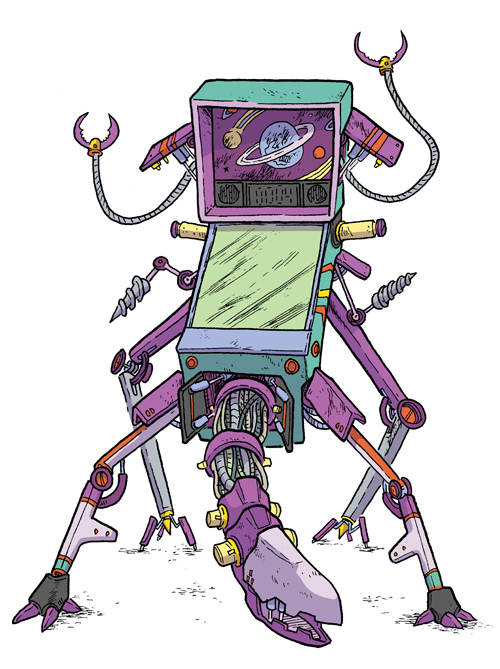 Gosh darn it, guys, I LOVE DRAWING PINBALL MACHINES! Quick poll: what do people think of the pistol-type plunger for IJ? Or even in general? One of the features I'm working on for Drop Target #5 is a comic about a crazy night that I spent with the Crazy Flipper Fingers pinball gang back in November. My idea was to tag along with them and get a street-level view of what it means to be in the gang, instead of just sending them some interview questions. 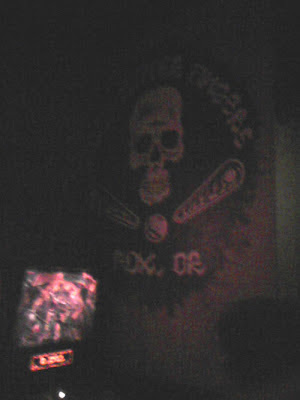 We zig-zagged all over Portland, playing pinball in bars, restaurants, arcades, and various private collections. It was a great time, and I look forward to sharing the story with all of you in DTZ #5. Jon and I have pushed back the release date again, which I know is a drag, but we are both busy guys and we want to make sure the issue is as good as we can make it. We've got all the content lined up, we just have to hunker down this winter and create it all. We promise it'll be out no later than March 2013! Oh my gosh, I've got to wipe the drool off my lip. Look at that hawt CMYK action on the lower-center part of the image. Man alive, don't even get me STARTED! Our Belgian pinball correspondent Max de Radiguès sent in some screencaptures from the new Teenage Mutant Ninja Turtles computer animated series on Nickelodeon. 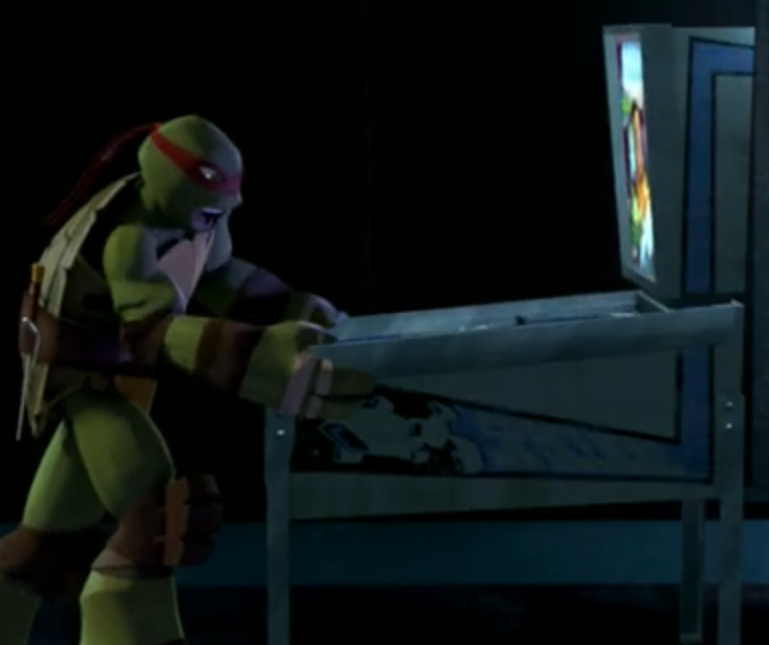 In them, we see Raphael working out some of his aggression by playing pinball! 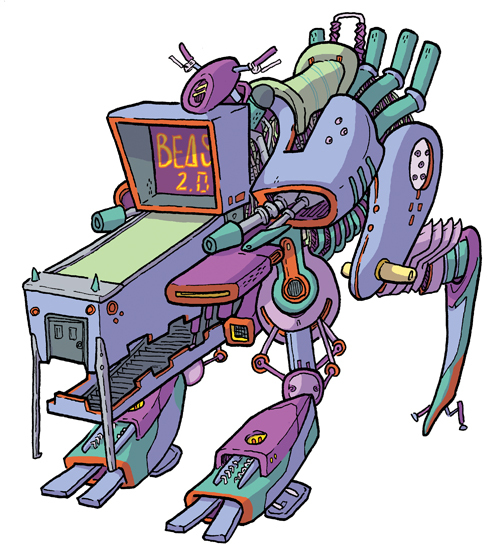 Devotees of DTZ will remember that in the very first issue, Alec and I did a feature on basic pinball terminology to get everybody up to snuff. You all remember all that, right? Do you need a refresher? Well, I always need more coloring practice, so I dug out the images from the first Drop Target and colored them. It was a lot of fun. It's also funny how the flipper I show has an end-of-stroke switch, just like my JP! 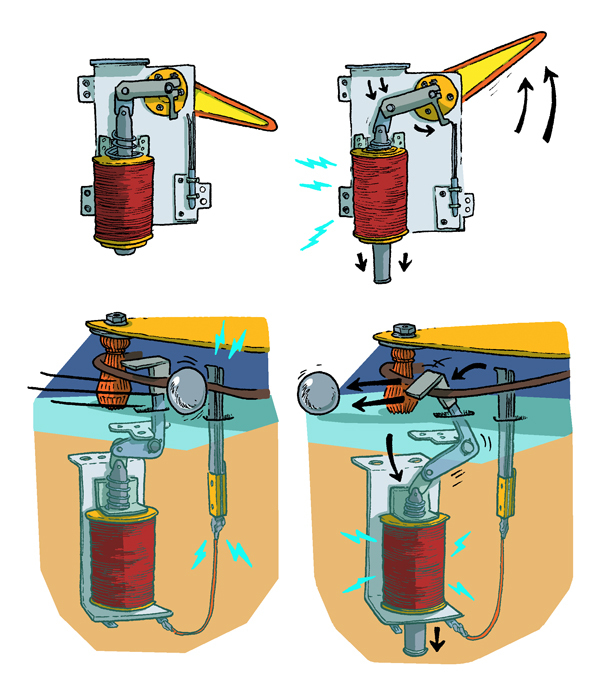 Here's a really clear video explaining how a solenoid (the ellectronic device that runs many parts in a pinball machine) works. "Whoa, wait? It DOESN'T run on MAGIC?"